We have two events on this weekend. The Pet Fiesta begins today (Friday 10/4/15) and runs till Sunday (12/4/15) from 10am to 9pm daily. 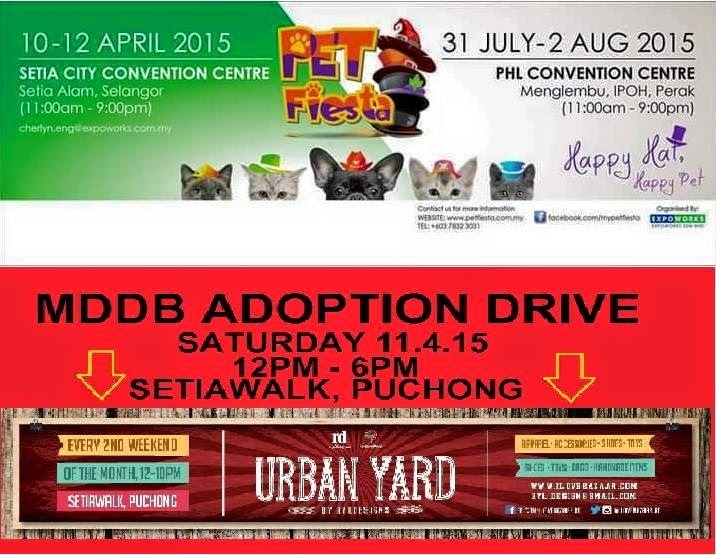 Our adoption drive this week is on Saturday (11.4.15) at the Urban Yard bazaar at Setiawalk Puchong 12pm to 6pm. Those wanting to donate in cash or kind can do so at both venues. We are in need of dog food, old newspaper, collars, leashes, cleaning detergents & rice.